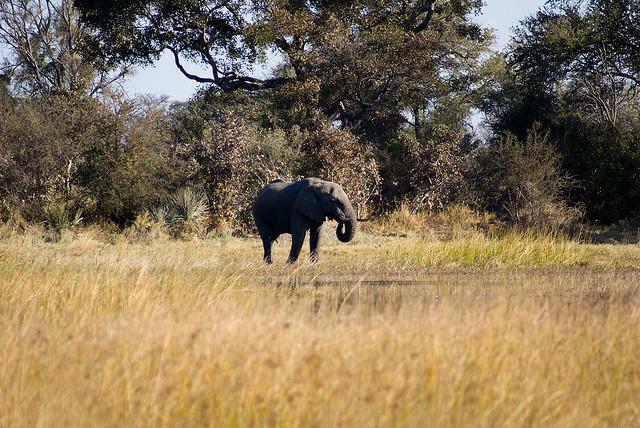 When the powers-that-be of the World Heritage Committee meet in Qatar next month to discuss the 2014 nominations for UNESCO World Heritage status, breathtaking Botswana’s Okavango Delta is sure to be on everyone’s lips. World Heritage status would ensure that this untouched region, which is one of the most sought after wilderness destinations in the world, is protected for future generations to enjoy. 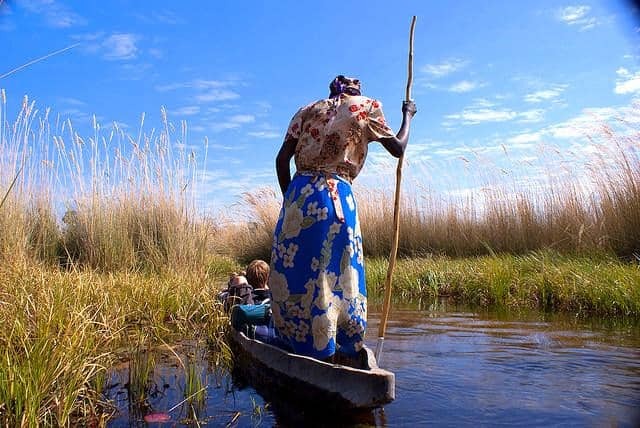 According to the rules, a World Heritage Site should be ‘exceptional’, and as the Okavango Delta measures over 16,000 km, it is the largest inland delta in the world in a desert environment. There is no other delta on the face of the globe with the same setting and or form. Also, when compared to other globally important wetlands – six of which are located in the tropics and sub tropics – the Okavango Delta has the highest number of reptiles and bird species, the second highest number of plant and mammal species and third highest number of fish species. In addition the Okavango River and the Delta are among a few of the world's river systems that are still technically 'wild', which means that to date there are no dams or human structures that impede its natural flow. Moving from wetland to dryland – traversing the meandering palm and papyrus fringed waterways, passing palm-fringed islands, and thick woodland, resplendent with lush vegetation, and rich in wildlife – a journey through the Okavango Delta reveals the many natural treasures of Africa’s untouched interior. Known as the ‘jewel’ of the Kalahari, the Okavango Delta is made of up three fascinating regions: the Panhandle, the Delta and dryland. 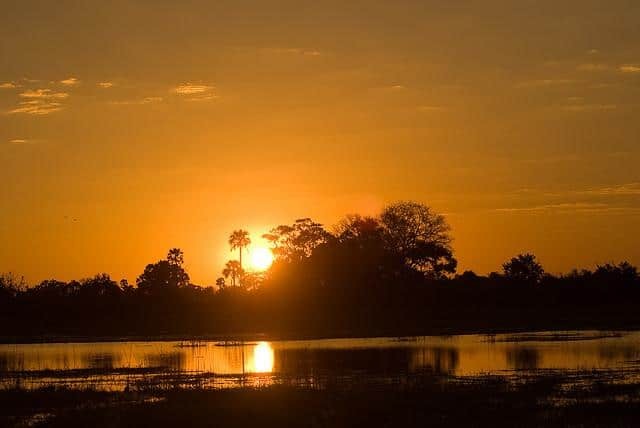 Formed by two parallel faults in the earth’s crust, the Panhandle begins at the Okavango River’s northern reaches and extends down for approximately 80 kilometres. The river runs deep and wide and the swamps are perennially flooded, making way for vast papyrus beds and phoenix palms. Travellers head to this region to go fishing and birding and to visit the colourful villages that line the Panhandle’s western fringes. The fan-shaped Delta emerges at Seronga, where the waters create a stunning mosaic of channels, lagoons, ox-bow lakes, flooded grasslands and thousands of islands. Many of the smaller islands are actually nests built by fungus-growing termites – forming a source of refuge and food for many of the region’s animals. 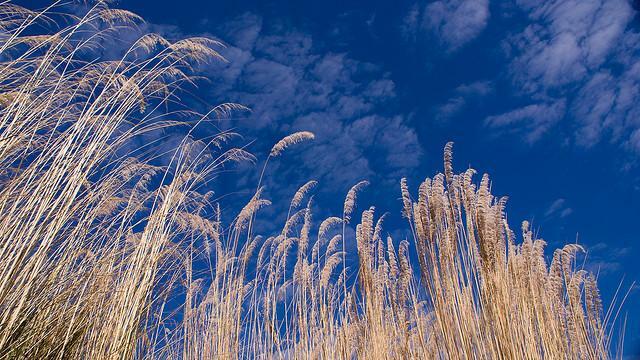 The ever-changing Delta region can vary in size from 15,000 square kilometres during drier periods to a staggering 22,000 square kilometres during wetter periods. Where the Delta transforms into dryland, there are three major land masses: the Matsebi Ridge, Chief’s Island and the Moremi tongue. This is where large numbers of mammals, including elephant, buffalo, giraffe, zebra and hippo retreat to. The sheer diversity of animals and birds can be overwhelming. A recent overview of the region recorded a staggering 122 species of mammals, 71 species of fish, 444 species of birds, 64 species of reptiles and 1,300 species of flowering plants. And a successful rhino reintroduction program now puts the population of White Rhino at approximately 35 and Black Rhino at four.